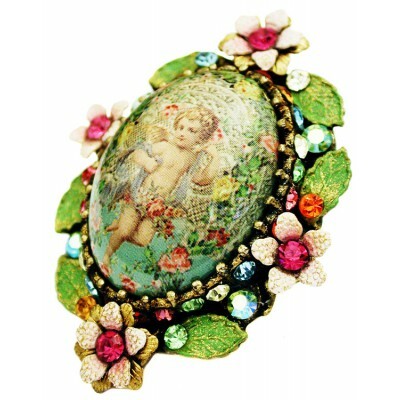 Michal Negrin ring. 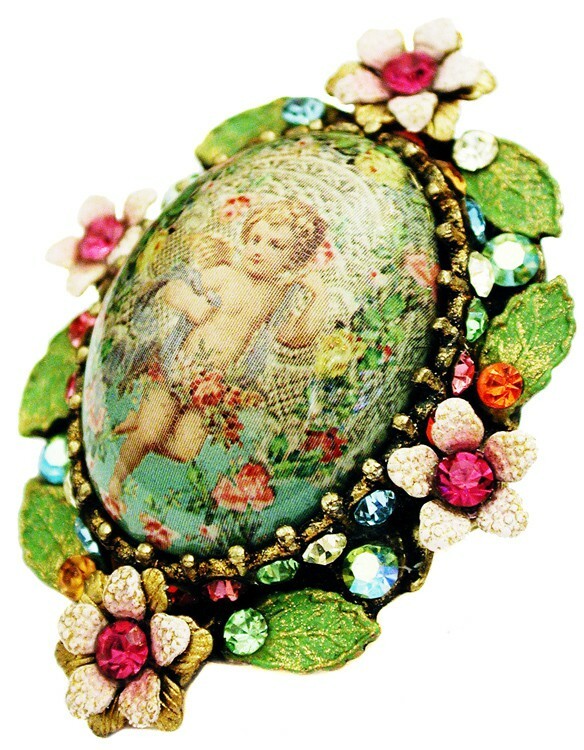 With a cherub cabochon cameo, multicolor Swarovski crystals, painted flowers and leaves. Adjustable band. The surface measures 1.8 inches high and 1.4 inches wide.